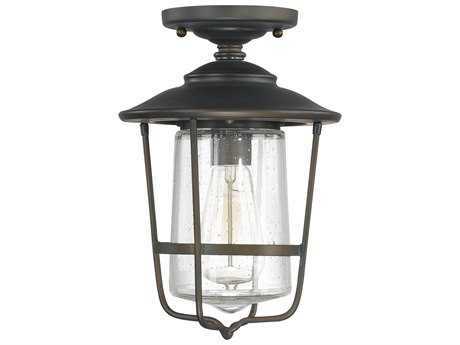 Outdoor overhead lighting refers to light fixtures specifically designed to illuminate outdoor spaces. 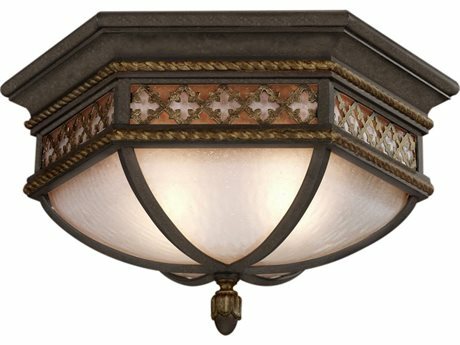 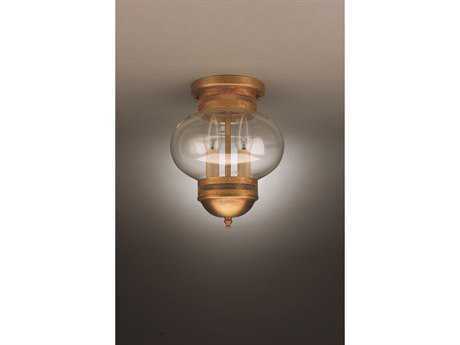 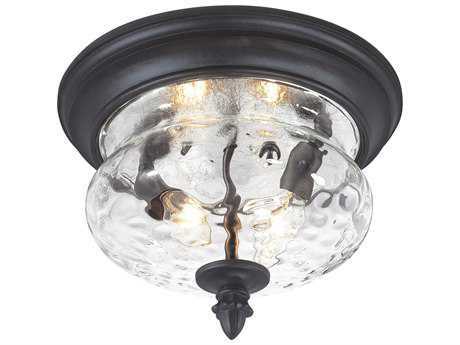 These light fixtures are typically mounted atop overhead ceiling surfaces in outdoor enclosed spaces, from covered porticos, gazebos, covered porches, and balconies. 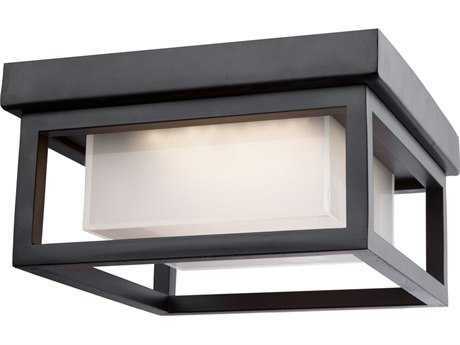 Outdoor ceiling lighting offers top-level lighting, and an effective radius of illumination that is ideal in expansive settings where a single overhead light will suffice. 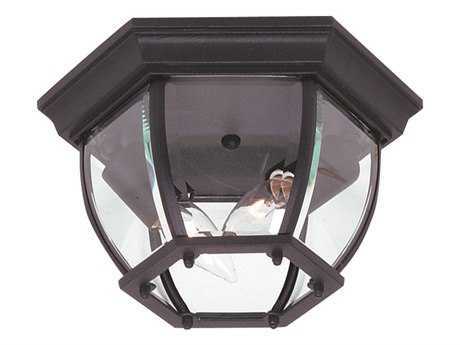 Because of their location and far-reaching effectiveness in illumination, these types of lights are typically employed as the primary light source for outdoor areas. 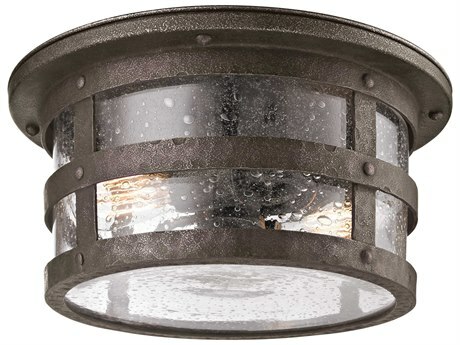 However, exterior ceiling lights are best used alongside other light sources such as outdoor wall lighting and lamps to add to an overall ambiance. 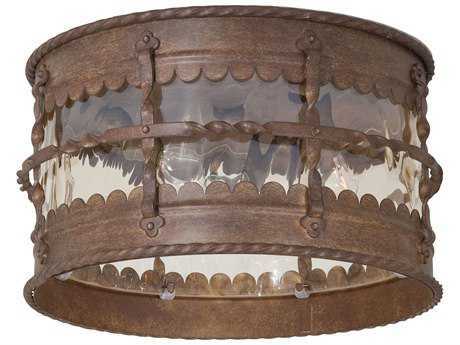 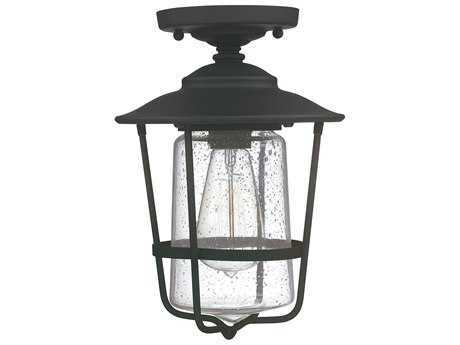 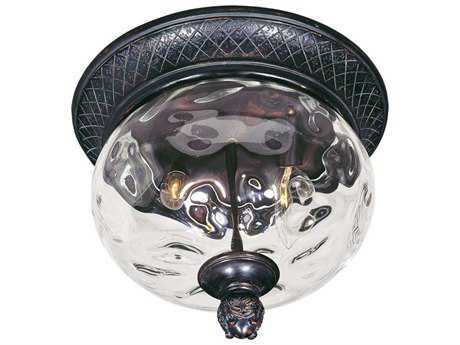 Outdoor ceiling light fixtures include outdoor flush mount lights, outdoor pendant lighting, and semi-flush mounts. 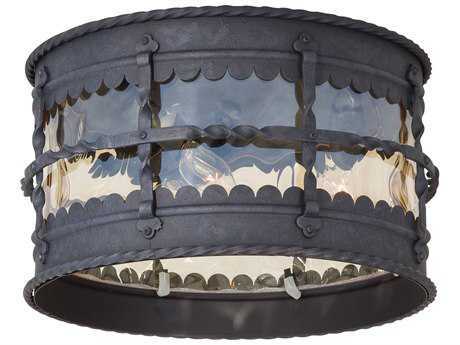 At PatioLiving, you can select from hundreds of options for outdoor porch ceiling lights to bring overhead illumination to any outdoor living space. 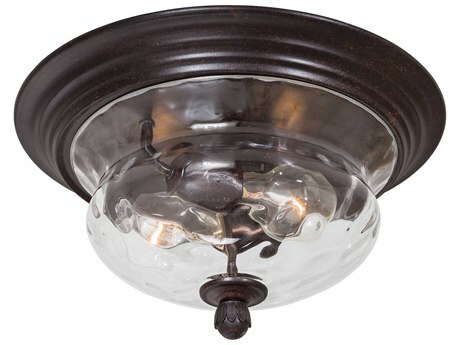 From flush mount lighting, semi-flush mounts, and pendant lighting, overhead ceiling lights used outdoors adds to a polished ambiance in any outdoor setting. 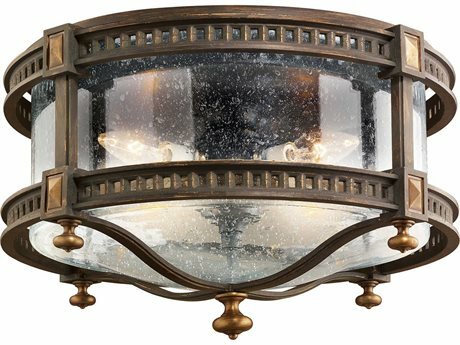 These types of lights can vary in size, finish, and style depending on your aesthetic preference and size of an outdoor space. 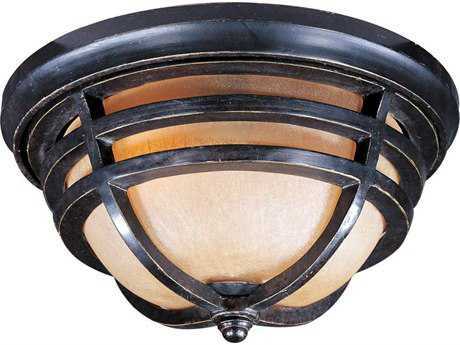 Select from simple one-light fixtures that are petite and work well in compact spaces, or there are options available with four or more lights within a ceiling fixture available that can serve to illuminate a great outdoor space. 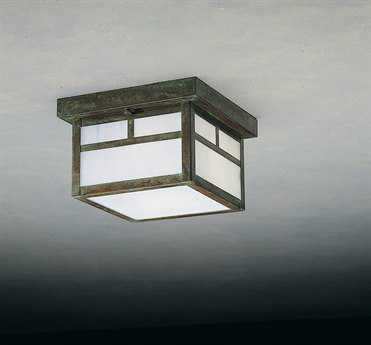 Styles range from minimalist and modern, to more traditional models with a rustic edge. 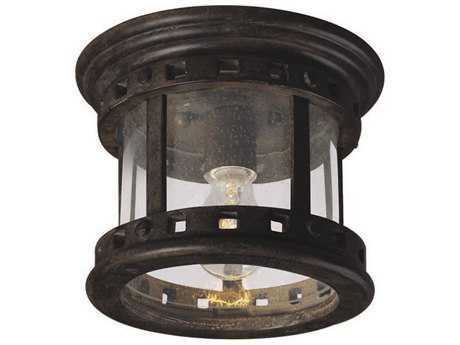 At PatioLiving, you can easily select which style you are searching for in order to effortlessly narrow your choices for outdoor overhead lights. 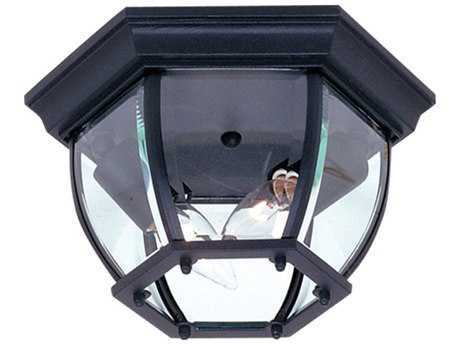 PatioLiving’s inventory includes a variety of power systems including cost-effective LED outdoor lights that are environmentally friendly. 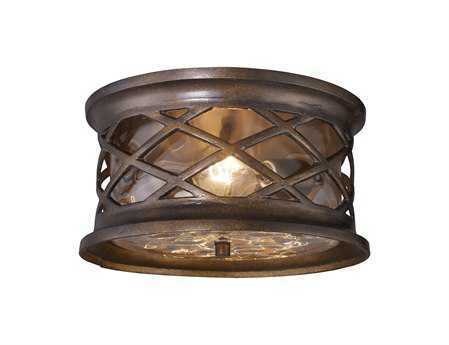 Search PatioLiving’s comprehensive selection including top-quality brands such as Troy Lighting, Quoizel, and Livex Lighting. 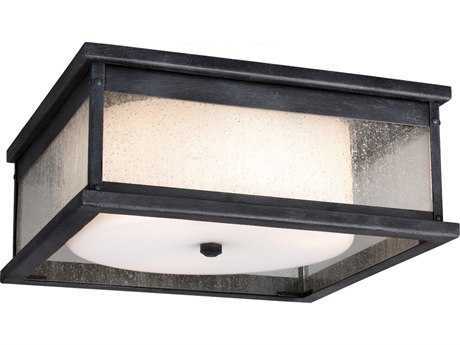 The addition of outdoor overhead ceiling lighting is crucial in establishing the overall ambiance of an enclosed outdoor space. 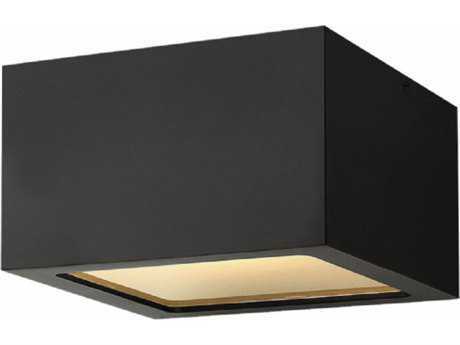 Its placement atop ceiling surfaces brings an unobtrusive, balanced aesthetic to a space. 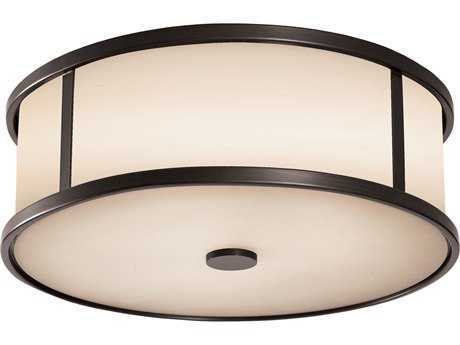 This helps to prevent guests from accidentally bumping into low-hanging light fixtures, while still providing the necessary illumination to brighten an expansive area of space. 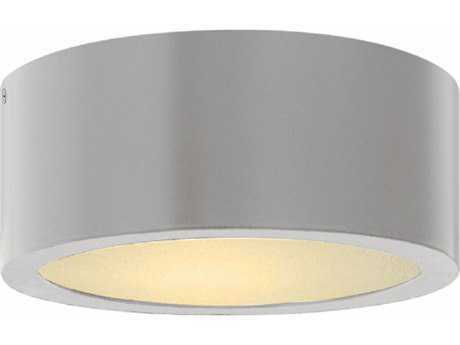 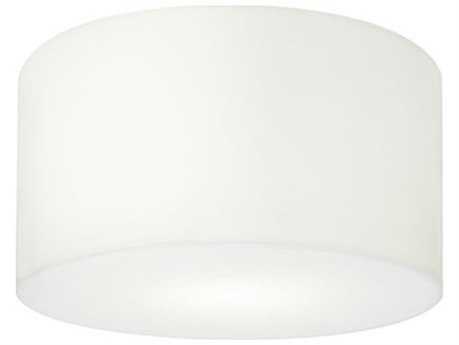 Flugh mounts bring the most discreet lighting with no space between the ceiling surface and the fixture, while a semi-flush mount is typically suspended by a rod, leaving at a one-inch clearance for decorative flair. 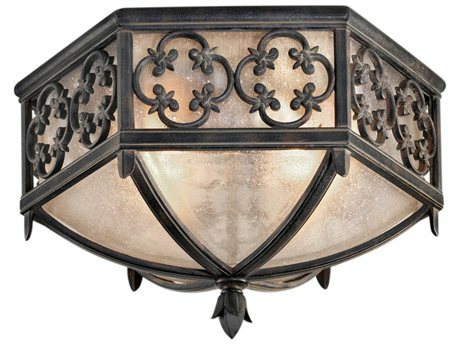 Because of the many styles and finishes available, overhead lighting serves to not only add functional value to an outdoor enclosed space, but also style and beauty that will enhance the look and feel of your living space outdoors.